Bookends & Beginnings, 1712 Sherman Ave. Owner Nina Barrett said the store will host many events Saturday to celebrate bookstore pride on Independent Bookstore Day. Bookends & Beginnings owner Nina Barrett said she hopes to remind book consumers to “vote with your dollar” in support of independent bookstores on Saturday, national Independent Bookstore Day. Barrett said celebrating the fourth annual national Independent Bookstore Day serves as a “consciousness-raising cultural phenomenon,” eliciting support for local bookstores in light of the threat posed by booksellers like Amazon and other chain bookstores. Bookends & Beginnings — 1712 Sherman Ave. — will celebrate with various events and promotions throughout the day, she said. The day’s events will begin with a special storytime, in which attendees will receive a free copy of the book “Maisy Goes to the Local Bookstore,” Barrett said. Local author Ellen Shubart will host a trivia contest Saturday afternoon based on her book “What’s With Chicago?” The bookstore will also showcase three new pop culture anthologies from the Great Books Foundation in the early evening. Barrett said generating and encouraging local bookstore pride — regardless of the fact that book prices tend to be higher at independent bookstores — is a primary goal in celebrating Independent Bookstore Day. 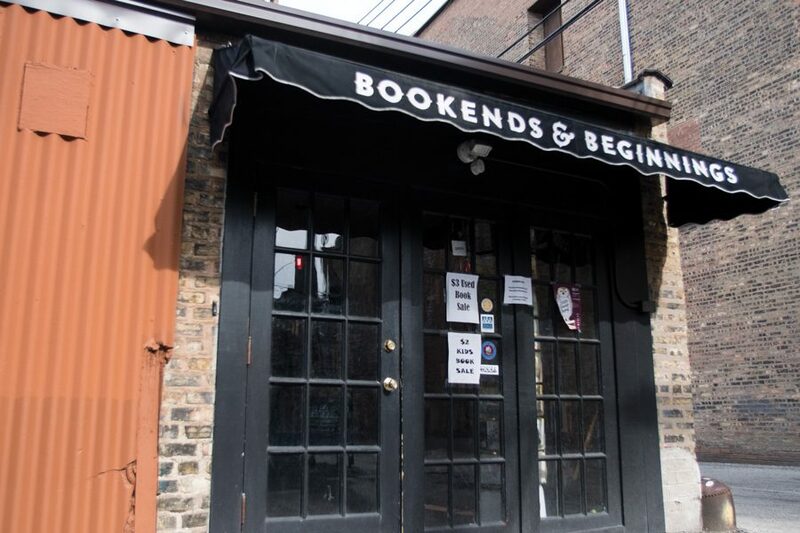 Bookends & Beginnings is a member of the Chicagoland Independent Bookstore Alliance, a “loose association” of about 25 independent bookstores in the Greater Chicago area working to co-promote the independent bookstore scene, Barrett said. This is the second year alliance members will celebrate Independent Bookstore Day, said Rebecca George, a founding member of the alliance and co-owner of Volumes Bookcafe in Wicker Park. This year, in partnership with the Great Lakes Independent Booksellers Association, alliance members are offering a 10 percent discount for a year to customers who make a $25 purchase at a participating independent bookstore, then visit nine or more others through a passport stamp challenge, Barrett said. Larry Law, executive director of the Great Lakes Independent Booksellers Association, said one of the association’s main goals is to provide a platform to attract customers to independent bookstores in the Great Lakes region. What sets independent bookstores apart from online booksellers like Amazon, Barrett said, is the physical location these bookstores offer.